My plan for today was to release updates to both of my applications to Android Market. 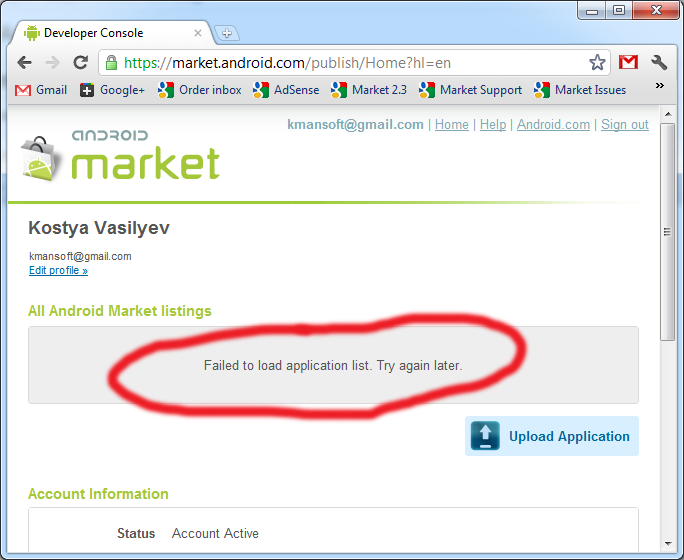 Uploading Bluetooth Widget went well, but after that, I can no longer access my Android Market Developer Console. It’s been like this for about an hour, and who know how much longer it’ll take to be “unstuck” (yes, I did contact Market Support). I understand (from messages posted android-developers) that it can stay like this for days.